This drawstring backpack is a perfect size for that quick trip to the shops, or a swim at the beach. 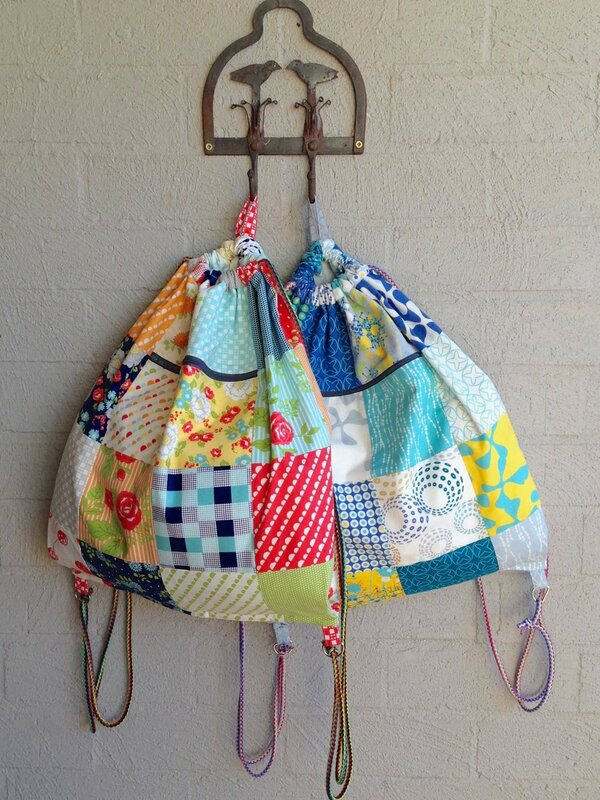 It would also be great as a kid's library bag, or for their next sleepover with friends. The backpack is fully lined, has an external zippered pocket for safe keeping of valuables and a loop for hanging. More details about this pattern are available at this link. This pattern is a 6-page 3 MB downloadable and printable PDF document.